Put the Power of Positive to work for you! 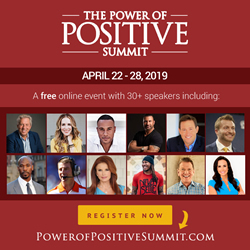 30+ leading experts sharing strategies, via short minute video messages with actionable advice, on How to Stay Positive, Overcome Challenges & Make a Greater Difference. Speakers include Jon Gordon, John Maxwell, Rachel Hollis, Ed Mylett, Coach Dabo Swinney, DeVon Franklin, Tony Dungy and many more! Share and invite a friend! Tiger Woods made mistakes and poor decisions. In 2009 the world watched him crash his car, ruin his marriage and fall from the throne of Golf's Kingdom. In the years that followed we continued to watch the once unbeatable golfer get beat by life. Many described him as a Terminator on the golf course, but addiction, rehab, a severe back injury, issues with pain killers and failed comeback attempts made everyone realize just how human he was. Imperfect and flawed like all of us. And that's why when Tiger Woods won the Masters yesterday, his first championship in 11 years, Twitter timelines blew up and the world cried and cheered. Yes, watching Tiger hug his son the way he hugged his late father 22 years ago, after his first Masters win, would make anyone tear up but our emotional connection and response had more to do with who we are than the hugs we saw. We don't like hypocrites. We don't like people who say one thing and do another. We root against people who think they are perfect and act imperfectly. But we root for those who fall, who admit their mistakes, who step back into the arena, with flaws and all to see, to overcome their challenges, pain, and setbacks to accomplish something great. Everyone loves a comeback story! And we love a miraculous, improbable comeback story that features an imperfect, relatable hero even more. We cheered because we knew how many times he tried to come back. His failures were observed and documented by everyone. The critics said he would never win again. Many suggested he should retire. One talk show host said he considered Tiger a former golfer. But he didn't give up. He kept trying and we cried because we know how hard he worked and how much courage it took for him to battle through all the adversity, all the back pain, all the doubt and all the personal challenges, to win another championship. Before his fall from grace it seemed like Tiger was given everything. He had the talent, the drive, the swagger, the mental toughness and the success. It seemed like he was placed on top of the mountain for all of us to worship. We loved watching him play but not everyone loved watching him win. But this win was sweeter. This one came after the fall. After years of sweat and tears and climbing back up the mountain, he earned this one. The world tries to define you by the mistakes of your past. But history defines you by how you responded, how you learned and improved, how you made amends, how you persevered and what you accomplished afterwards. Tiger never gave up and neither should you! You root for a relatable hero like Tiger Woods because deep down you know there is a hero inside you that has the ability to overcome your pain and past to courageously create an amazing future. Whether you have been knocked down by life or by your own mistake, Don't Give Up! Everyone loves a comeback story but the best come back story of all is your own! 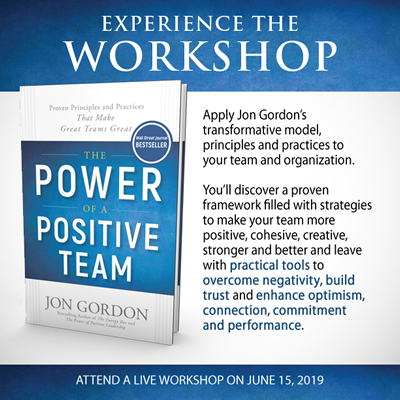 Become a certified trainer and bring The Power of Positive Leadership's proven model, principles and practices to the leaders in your organization. If you are an independent trainer you will be licensed and equipped to train leaders in multiple and various organizations.